If you teach elementary general music, then you have probably had to face the situation: What song will my upper elementary students sing as their graduation song? It has been years since I have had to go through the process of picking an upper elementary graduation song. I have experienced the PreK and kindergarten graduation songs and have found many fun ones (I will save them for the next post). However, the upper elementary graduation song is its own entity and I was faced with it this year. 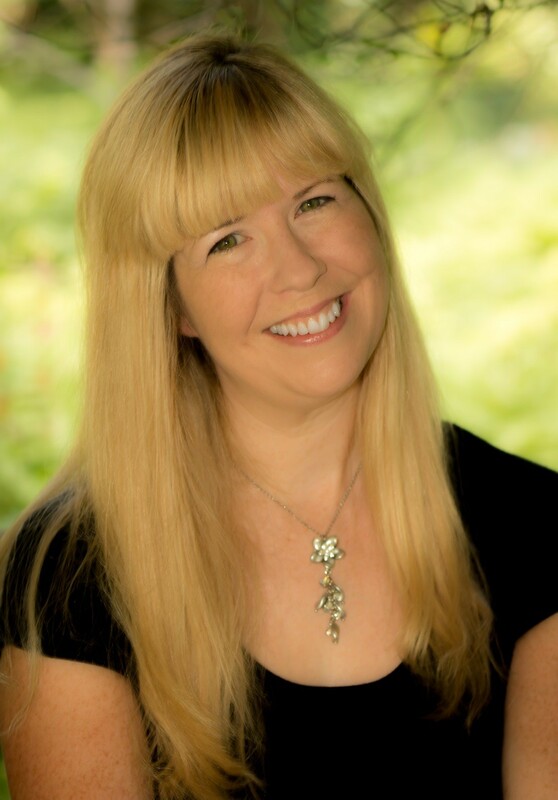 You have more options because the students are older, more mature, have a larger vocal range than PreK/K, and they can read words and many of them can read music. With that in mind, how do music educators pick a graduation song? Social media can be very helpful when it comes to selecting an upper elementary graduation song. One can look them up on YouTube to find videos of other schools’ graduation songs. One can ask a music education network group like Facebook’s Music Teachers Group with over 20,000 members or the I’m a General Music Teacher Group with over 7,000 members. One could tweet the question with the #mused or #elmused to see if they receive answers. There are usually my go-to resources when researching appropriate graduation songs. Once the students reach a certain age, some will shy away from singing. They become disconnected with many song selections that are presented in music class. In the case of a graduation song, can the students take ownership and choose their own song? The answer depends on the school environment, the students, and how comfortable the music educator is about giving up some control of the song selection. This year, I decided to let the fourth graders take some ownership of their graduation song. I spoke to them about the meaning of the day and that it signifies them growing up and moving up. I reminded them that the audience would include family and adults. Therefore, their song had to reflect a positive message. Their song could not have inappropriate words or meanings. I also told them that I was the referee and would make the final call on whether the song would be appropriate. Finally, I showed them some examples of appropriate songs for the graduation day. I gave the students a week to bring me selections. The selections had to have a title and artist. I received 11. I listened to them all and researched their lyrics. Five were taken out because the song had inappropriate lyrics or message, there was no Kidz Bop version of the song, and/or the song did not pertain to the day. This left the students with six choices. Right after their spring Grandparents’ Day Concert, they entered the music classroom with their Chromebooks. 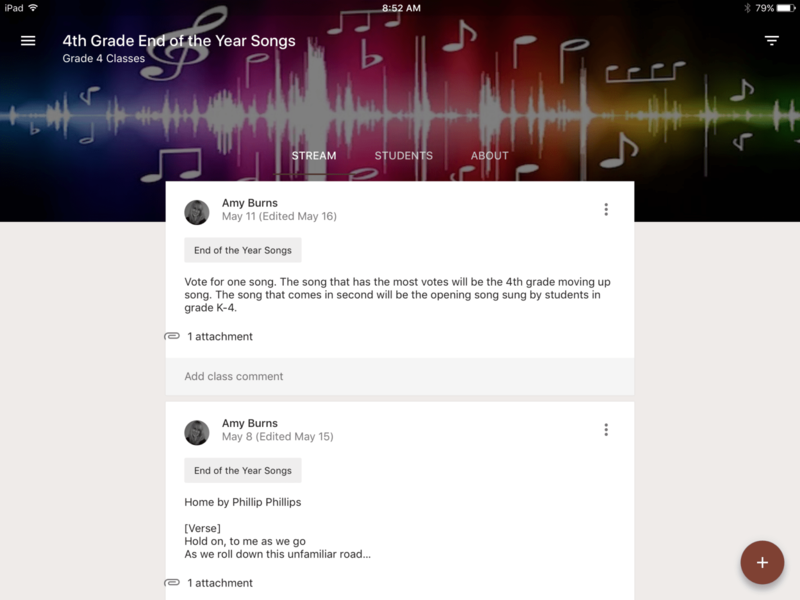 They logged onto the fourth grade google music classroom and saw the six choices. Using safeshare.tv, I attached the links to the videos that showed the lyrics. To do this, copy the YouTube link, launch safeshare.tv, paste the youtube link into its menu bar, it creates a safeshare link, and now you have an ad- and comment-free video. By using safeshare.tv. I did not worry about the students directly accessing YouTube and being subjected to inappropriate content because I am not a YouTube Red subscriber. 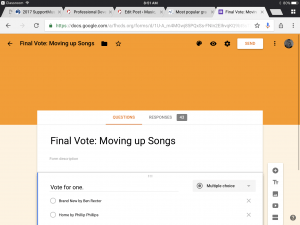 Using Google Forms, I created a form where they could choose two out of the six songs. I set up the form so that they could not submit more than once. Once submitted, google forms created a spreadsheet and bar graph of the votes. Once there were two selections, the students voted for their graduation song. It was a very close tie! I had one student absent from school. His vote was the deciding vote, so we had to wait to contact his family to receive his vote. Ultimately Ben Rector’s Brand New won. However, the song that came in second, Phillip Phillip’s Home, became the opening song that all students in K-4 will sing at the beginning of the graduation ceremony. What are some of your favorite upper elementary graduation songs?